Climate & environmental change in an Earth System context. The Ocean Climate lab @ UC Davis is interested in broad questions of how climate change impacts marine ecosystems in the past, present and future, including temperature, ocean acidification, ocean productivity, and calcification. Field sampling in Neskowin, Oregon. 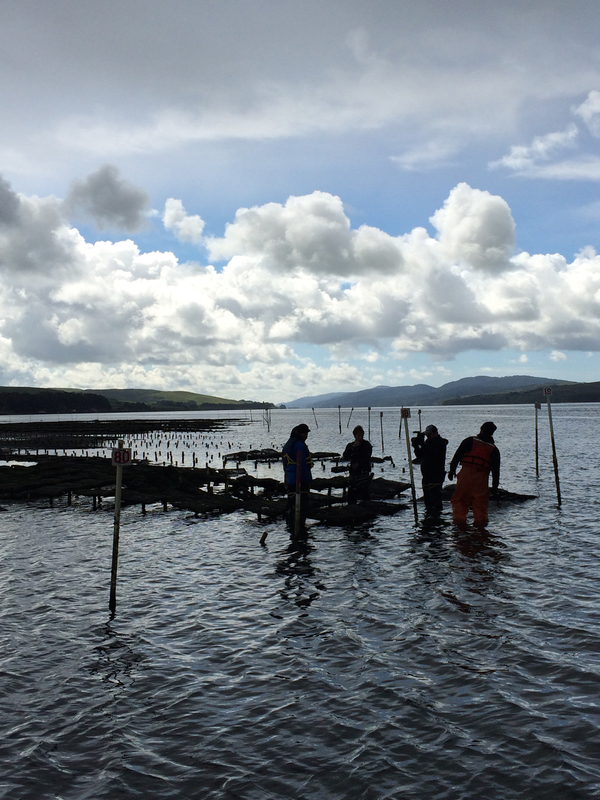 Out on the water in Tomales Bay, with partners from Hog Island Oyster Co.
Find out about our research areas and interests. Hill lab members frequently engage with the public.